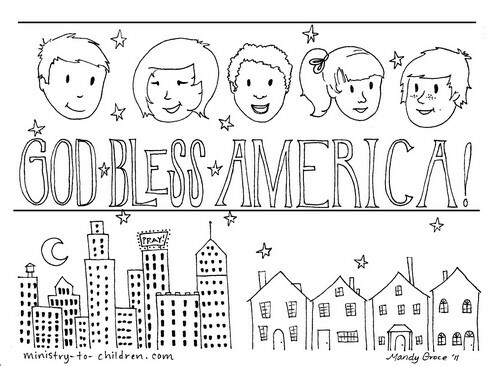 This free coloring page for kids has the words “God bless America” written large across the sheet. It has includes a group of diverse children’s faces. When kids ask about the September 11th holiday, I might use this one instead of the many 9-11 coloring pages that show towers . This would be a helpful art project for any patriotic holiday. 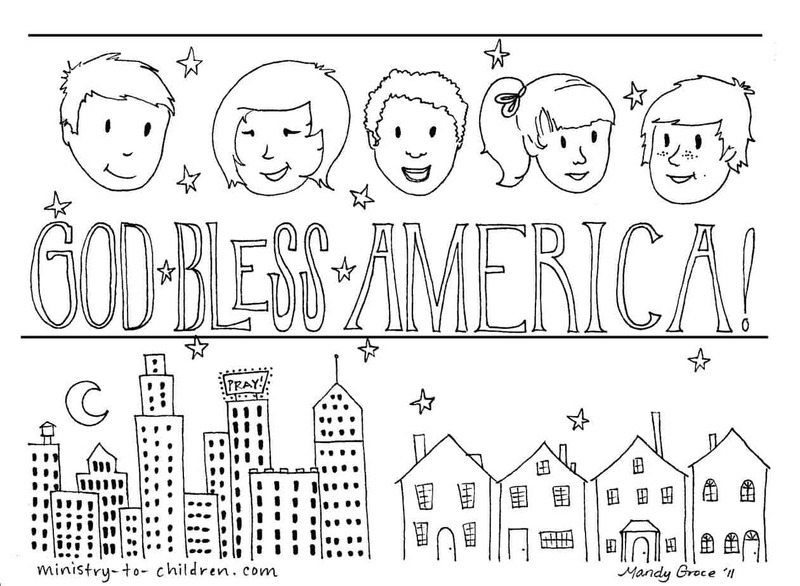 For more ideas, browse our Fourth of July Sunday School ideas or check out the free pray for your Leaders coloring sheets. Directions: This free coloring sheet is available in two formats. Right click on the links below to download and print the files from your computer. Despite the many faults of any nation, the United States of America has been greatly blessed by God. Christian people should give thanks and always remember that it’s the Lord who makes any country great. Here are some suggested questions to turn this coloring page into a teachable moment. 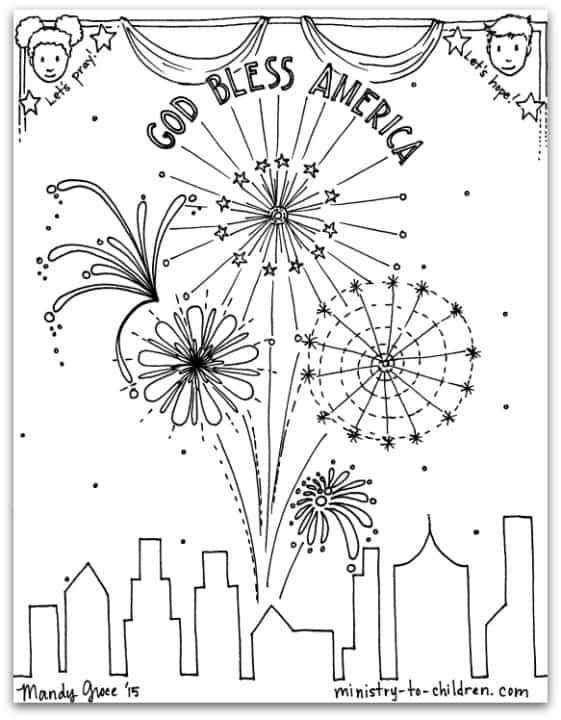 We hope you enjoy this 4th of July coloring page. Please leave a comment below to share how you will use it with your own children or in your church ministry. Excellent thanks for your godly giving hearts ! I needed an emergency plan blessings got it here! Happy 4th WE ARE FREE!! I’m in America ! Thank you so much for giving to others so that they may give. What a blessing these coloring pages were.